A nickel ain’t worth a dime anymore…..
Around 1980, Albert Cramer, managing director and owner of Warsteiner decided to build an international export department targeting business in North America. At the time, Germany was still divided into two factions: east and west. Albert knew that for the brewery’s long term survival, he had to expand Warsteiner’s international footprint. What helped Albert make this decision was the fact that the exchange rate between the German Duetsch Mark the U.S. dollar was around .80. Albert established Warsteiner Importers Agency, which allowed the brewery to sell beer made in Germany and receive payment in U.S. dollars. The favorable exchange rate allowed Albert the ability to invest heavily in the U.S. market, subsequently growing Warsteiner to a volume that was, at one time, near 150,000 HL. As we all now know, Europe’s transition to the euro, coupled with the change in the U.S. monetary policy, caused a reversal in the exchange rate. At one time the rate was 1.50 euros to the dollar. This new rate changed everything. Some European beers, including Bavaria and Carlsberg, pulled out, or pulled back, on their support of their own brands. Due to the situation with the exchange rate, many breweries walked away from volume. Warsteiner, in fact, lost half of their volume, mostly due to decisions tied to this rate. Even today the exchange rate runs 1.10 to the dollar, and although this is much improved importers to continue to struggle with the monetary policy. Last week, Stone Brewing Co. announced a five percent reduction of its workforce, adversely affecting almost 60 employees. Stone, one of crafts oldest and most successful brewers and distributors in southern California, recently built a brewery in Berlin and has been exporting beer for years. As successful as Stone has been overseas, it is not nearly as successful as Brooklyn Brewery. Brooklyn recently sold a minority position to Kirin Brewing of Japan, who is said to have purchased 25% of Brooklyn. 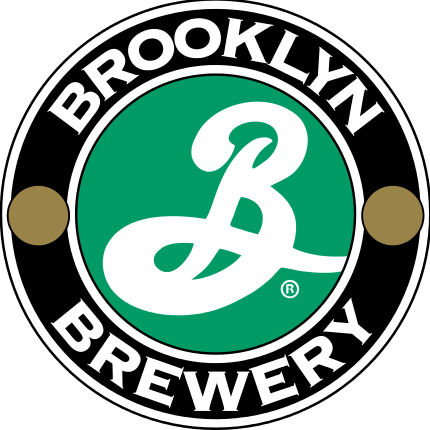 Brooklyn also announced that their beer would soon be brewed in Sweden by Carlsberg Brewing. Currently half of Brooklyn’s annual volume of 300K bbls. are sent overseas! It is obvious how the exchange rates drove this export business. It made sense for Brooklyn, Stone and other breweries, including Rogue, to create an international business. With the U.S. dollar worth 50% more overseas, where else could they get such a return on their investment? Plus, these early breweries had little to no competition in the overseas craft industry. Now these breweries have established their individual footprints around the world and they are growing. As the U.S. market continues to experience slow down, or even push back from craft consumers, coupled with an additional 2,000 breweries coming on line soon, exporting could become a much bigger business. On the other hand, successful breweries like England’s Brew Dog, are importing to the U.S. and building breweries so they, too, can by-pass exchange rates. The success of these breweries remains to be seen. Stone is reducing their workforce; while on the other hand, Rogue is expanding their sales force by 60%. One builds in Germany, one expands back home. Following these companies will be interesting. Warsteiner lost their number-one status in Germany some years ago, but remains that country’s number-one privately owned exporter of beer. That, in itself, is the definition of a long-term vision. A nickel ain’t worth a dime anymore! Fifty percent of my career in the beer industry has been working with or selling Coors in one way or another. Initially, as a helper on a Coors truck in Dallas while in college, to stints at the brewery in Distributor Development, running the Coors branch in Ogden, Utah, to leading three Coors distributorships. These distributors had market shares ranging from as high as 61% in Kansas to 13% in San Antonio while experiencing unprecedented growth. Both Coast in Oregon, and Coors of Kansas, were top 10 volume distributors selling millions of cases annually. I was involved with Coors in expansion markets, Coors Light test markets, overseeing financially troubled Coors distributors, and buying Coors operations. On a couple of occasions, I even helped, and testified for, Coors brewery in court cases. 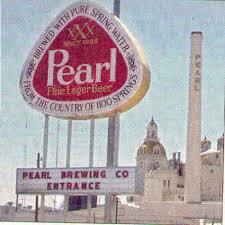 During these years I worked with Mel Lynn, Richard Franklin, Frank Spinosa, and Leo Kiely and even Pete Coors. My time spent with Coors, in addition to my years at Warsteiner, were personally very rewarding. One can argue that Coors has gone through even more changes in these past decades than ABI. Remember, many years ago, Coors and Schlitz tried to combine, only to be rejected by the government. Finally, there was the Molson fit, that combined two family-owned companies with similar cultures and a long successful history. This was followed by the SABMiller JV which happened for reasons that today seem to have been somewhat premature, or in some circles, even unnecessary. With the ABI acquisition of SABMiller, MolsonCoors is back where they began, now with the Miller portfolio included. Wall Street is coming out with their recommendations, mostly with a buy rating for TAPS. They see this new company as a very good investment, with some pundits seeing cost savings from $400 million to as high as $900+ million. These numbers make one question. If these savings are there, why did MillerCoors not act on them? No doubt, the company will restructure, and announce millions in savings, but most inevitably, the sales department will also restructure. The new MillerCoors will be either a decentralized model or a centralized model. Decisions will be made in the field or at corporate. Take a pick. More feet on the street and/or more chain effort. It will be nothing we have not heard or seen before. Same song, different verse. What will change, and what will change for the best, will be the company culture. How that change translates to performance will dictate the future of this company. There will, again, be changes in ad agencies. Considering that there have been five different agencies for Miller Lite in the past five years, how can any brand get traction when there is a new theme every year? Now, however, with this new company, expect to see some consistency in Lite marketing. Finally. Given the ABI model, and ABI’s performance history, MolsonCoors is in a position to become the leader in the US if, and only if, they stop operating like ABI and operate like MolsonCoors. It very well could be their best and last chance. Only you can control your future…. Quality is not an act, it is a habit.. When Coors expanded into South Texas in the mid-1970s, the brewery required each distributor to refrigerate their warehouse and, at a minimum, insulate or refrigerate every delivery truck. Coors was delivered to each warehouse from Colorado on refrigerated trucks or heavily insulated railcars. The beer was immediately put into the cold storage warehouse. In those days, for Coors, it was all about quality, and nothing less. The beer had to be in a temperature controlled environment and constantly rotated. Out of date beer was to be picked up immediately and destroyed. No questions asked. With the exception of one retailer, this stringent code of quality control was not an issue when we opened the San Antonio operation. That retailer, Hipp’s Bubble Room, a small hole-in-the-wall restaurant/bar located in the shadow of the Pearl Brewery that featured Pearl draft, took exception to Coors QA demands. Hipp’s put his weekly order of five cases in the un-air conditioned metal storage building behind his bar. Needless to say during Texas summers, the temperature in that building was excessive. Attempts were made by many Coors management visits to convince the owner to store the beer inside the bar, but he refused. Coors, having no other choice, stopped selling beer to Hipp’s. Consumer demand forced the owner to get Coors from the bar next door, Little Hipps, owned by his son. Neither Coors nor Hipp’s relented and Coors continued to stand by its quality standards, even if it meant losing a good account. Recent visits and discussions with multiple beer distributors have revealed that their number-one issue is with the quality of the new craft beers. Without exception, multiple issues have arisen concerning the acquisition of a new brewer, quickly followed by quality issues. The story is the same: One batch of beer was good; the next batch was off-taste. In almost every case, the wholesaler soon discontinued these brands. Like Coors in the mid-1970s, they had no choice. Charlie Papazian, former head of the Brewers Association, wrote a commentary last month in the New Brewer, stated that a major issue for beer is quality. His solution, however, was to create a mandate that all crafts be shipped, stored, and sold cold. No more retail warm-shelf placements. Papazian, further advocated for reduction of redundancy in major brands, thus providing cold-space openings for crafts. By getting the retailer to so, it would enhance the consumer’s experience with fresh craft beer and, thus, in-turn, grow the segment. What would a cold box look like if all the Bud Light, Miller Lite, and Coors Light packages were on the warm shelf, replaced by crafts in the cold box? Where would imports go? Craft brewers continue to make access into the marketplace, and franchise laws are top issues for this middle tier. Wholesalers continue to push back with QA issues. Perhaps, if crafts put a priority on QA over access to market it would not have become the issue it is today. High quality beer is much easier to sell, (e.g. New Belgium or Boston Beer), if the consumer knows the beer they are purchasing is the freshest possible. Fresh beer leads to repeat buyers. Charlie Papazian’s ideal retail setting is not going to happen anytime soon, however, increasing quality for crafts should be the industries’ priority if crafts are to continue to grow. I learnt the hard way about positioning in business, about catering to the right segments. At last week’s NBWA convention in Chicago, much of the talk among distributors and speakers centered around the current performance of the craft segment. Both the scan numbers and data show a slowdown in craft volume sales and, the numbers show that the slow down seems to be accelerating during this second half of the year. Yet, there are still craft sales that go unreported, such as brewery tap rooms. Getting a handle on just how the craft segment is doing is difficult, at best. At one time, defining beer segments was easy. There was the premium segment, mostly made up of Budweiser, Coors, Miller, Schlitz, and Pabst. There was the price segment, dominated by Busch and Old Milwaukee and malt liquors, dominated by Schlitz Malt Liquor. Rounding out the segments, one must not forget the imports, predominantly Heineken, Beck’s, the Canadian selections, and a few Mexican beers. Regional or local brands fit into one of the-afore mentioned segments, slipping into a price segment that allowed them to compete against the big national brands. These days we have a number of segments: light beers, FMB’s, and many others, even segments within segments. It is hard to keep up with whom, or what, is in any particular segment… just look at crafts. Several years ago, the industry consultant, Mike Mazzoni, presented a graph at a convention which analyzed the product life-cycle of Budweiser. The graph was a classic bell curve. It is safe to say that Mike was showing all that every product has a life-cycle. So the question is, do segments have life-cycles, too? The industry’s largest segment for decades has been the light beer segment, but light beers have been declining for some time now. Yet within this segment the hottest brand with the best numbers is Michelob Ultra. The light beer segment has lost millions in barrels yet Ultra is growing at an eye-popping rate. MillerCoors just announced that it will be testing an Ultra type product. Goldwing, a low carb, low caloric beer will be in a couple of states soon. Miller Lite positioned as a low carb, low caloric beer not long ago, was it not? The light beer segment is not dead, not by a long shot, but there are brands that are going through the product life-cycle like the Budweiser graph mentioned earlier. Coors banquet has been growing in the domestic segment for years, while Budweiser, which had been declining, now shows signs of a comeback. The point is, perhaps the segment is healthy, but there are brands that are not healthy. The craft segment is no exception as there are many brands growing at unbelievable rates, while others are, or have, gone negative. The segment is not the issue; it is brand(s) in the segment.